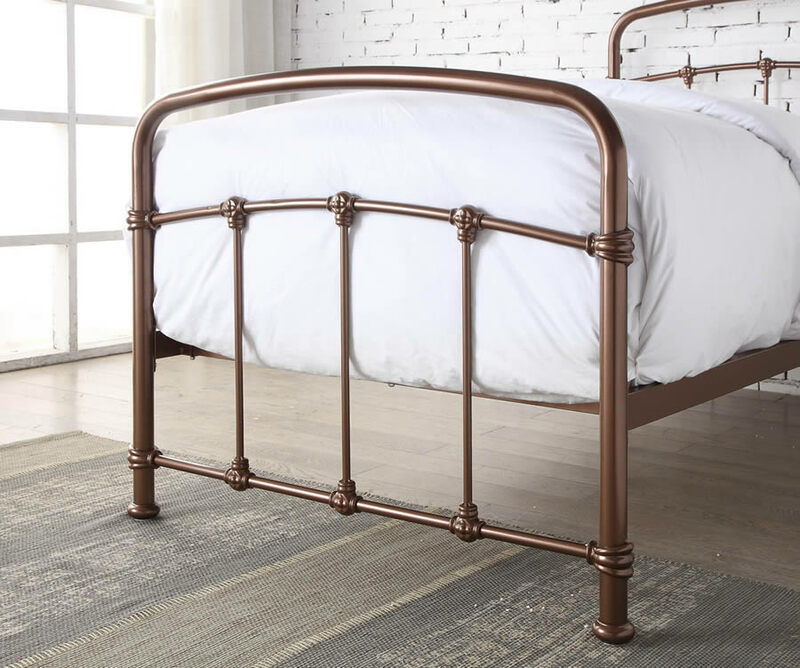 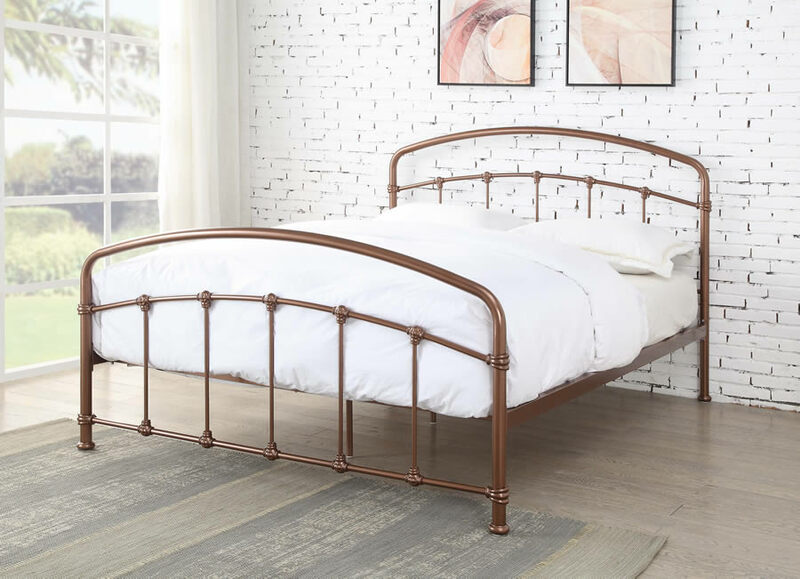 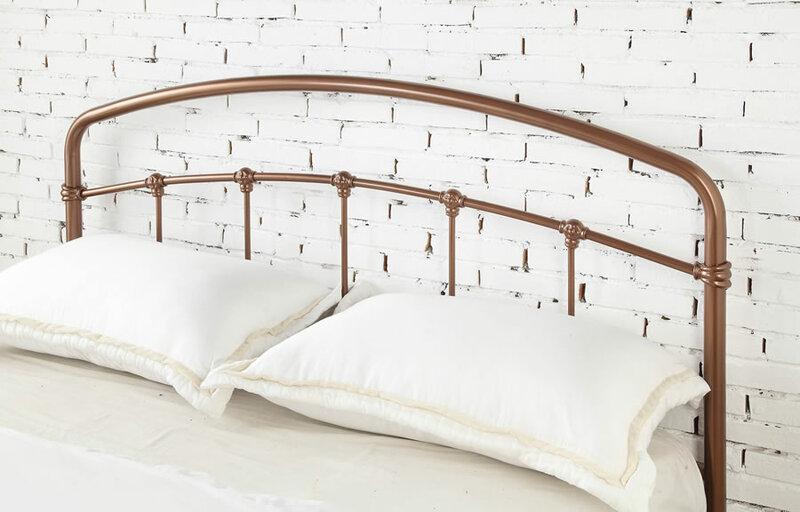 The Flintshire Furniture Mostyn metal bed frame in a painted Shining Rose colour finish is available in three standard UK sizes including single, double and king. 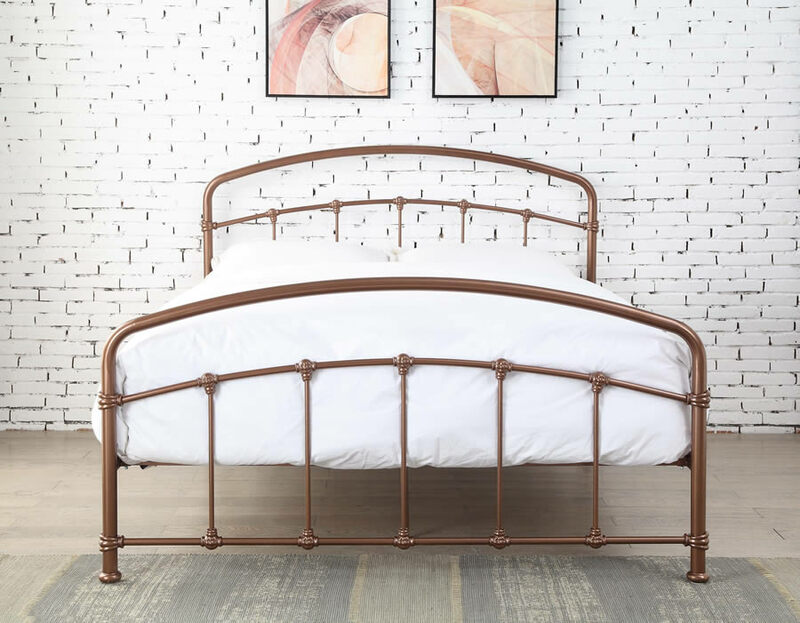 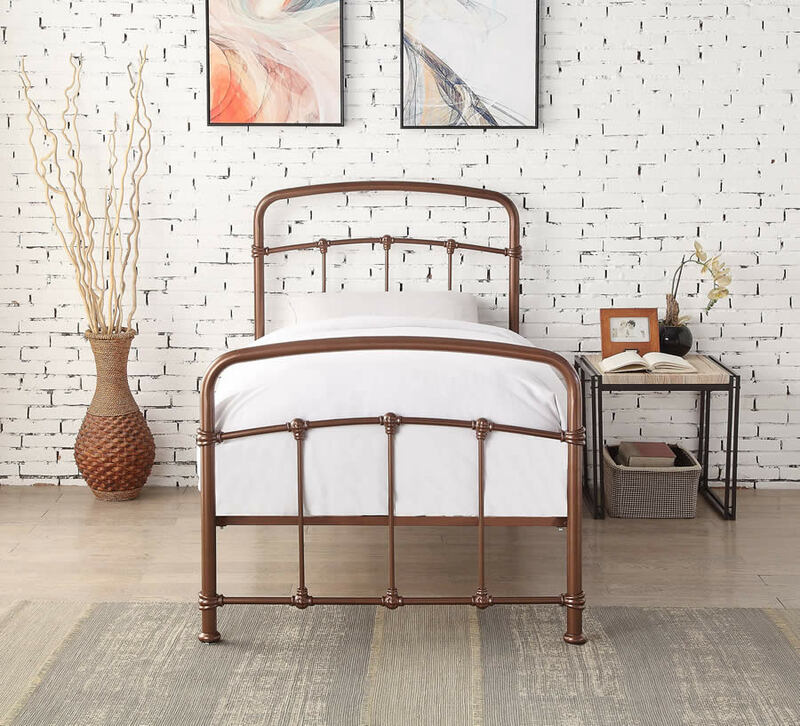 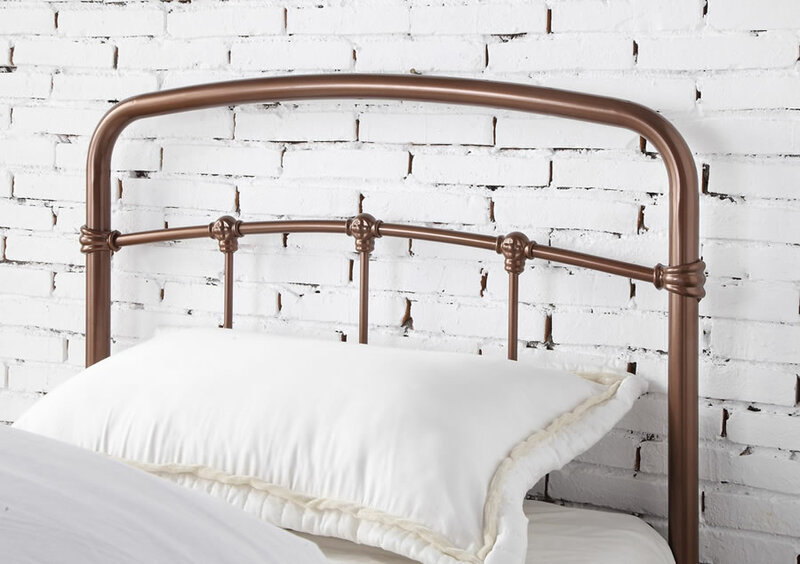 The Mostyn bed frame features a high headboard and lower foot end. 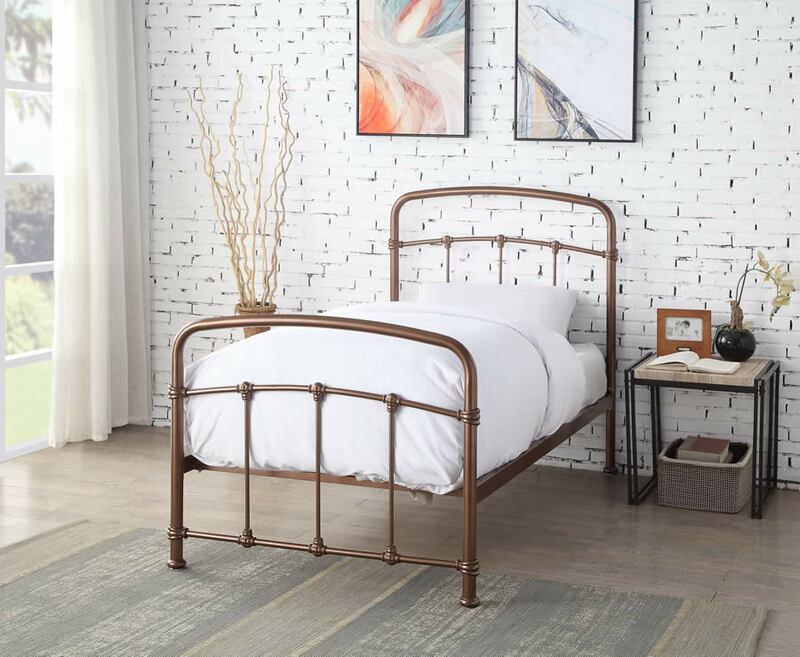 The mattress base has traditional wooden slats with one row on the single bed frame and two rows on the double and king size bed frames. 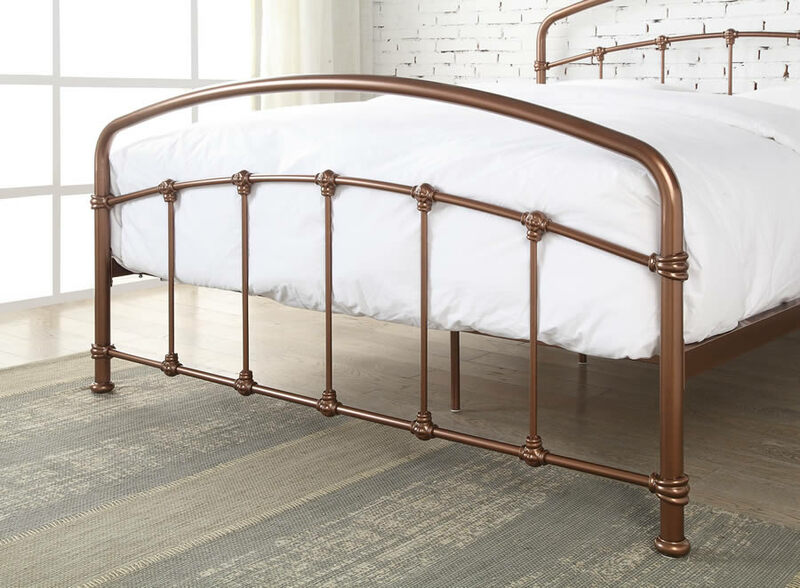 For additional support both the double and king size bed frames come with a centre rail and vertical support legs.